The education market may soon be swamped with tablet PCs complete with academic book apps but for the time being notebooks are still any student’s mobile productivity tool. The new Classmate+ is one such answer, it’s toughbook style chassis and briefcase handle should be a dead giveaway. It features a 10.1 inch LED Backlit display. 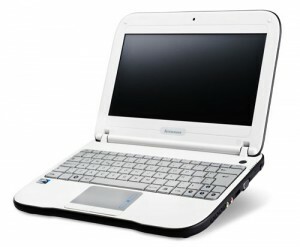 The specs look all too netbookish with a 1.66GHz Intel Atom CPU. 1GB of Ram, 160/250GB hard drive, 1.3MP webcam, memory card reader, 3 USB 2 ports running Windows 7 Home Basic. What separates this education notebook from being an actual bog standard Netbook PC is it’s rugged design. 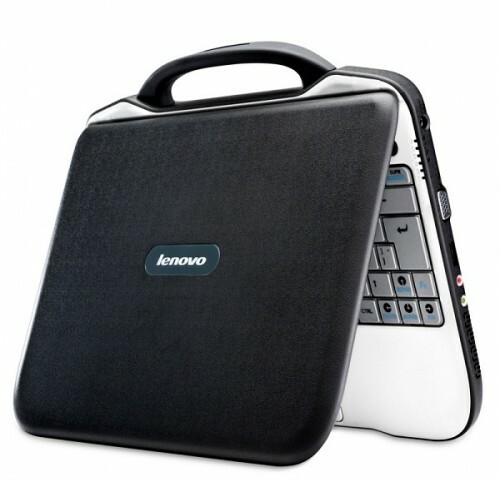 It features a drop-resistant body and spill resistant keyboard. The Classmate+ is available now from Lenovo directly but prices are based on bulk orders from qualifying education and government bodies. Gah! No! The Classmate+ is specifically designed to undermine One Laptop Per Child! OLPC is a great non-profit organization that provides third world countries and schools with some of the most innovative and durable laptops around. Meanwhile Lenovo is looking to cash in and make a profit instead of going in with the good intentions of OLPC! Students love to work on laptops/computers, but I rather have a teacher teach students rather than a program on a computer or laptop.